The Mystery of Flappy Bird : SOLVED OR UNSOLVED? What is Flappy Bird? If you are unaware of the existence of this latest craze, you aren’t really an up-to-date or tech-savvy person, are you? For the uninformed, here’s a brief description of Flappy Bird. It is a deceptively simple looking game designed for the iOS and Android platform. You simply have to ‘fly’ the bird without hitting any pipes that lie in the way by tapping on the screen to control the height of the bird. This sounds easy, right? Heck, no! 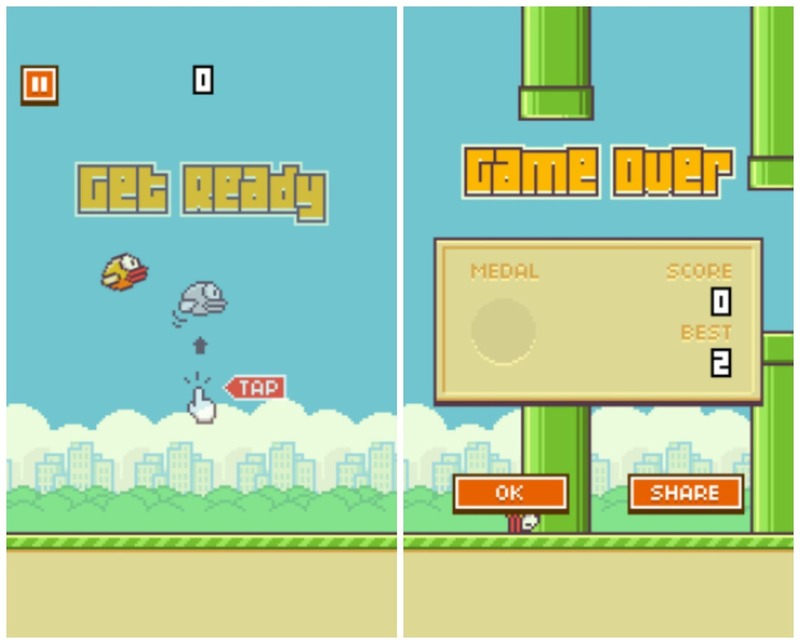 For those who have played the game, here’s some food for thought: Where did Flappy Bird flap out from? (Pun intended) It seems as if it came from practically nowhere. Why was it (and still is) so popular? If so, why was it taken down then? Finally, why can’t you seem to stop playing it, even as you curse the game? After loads of research, here’s what I have come out with. Flappy Bird’s self-styled Vietnamese indie game programmer Dong Nguyen first launched the app on March 24, 2013. It stayed in relative obscurity until it entered the Family category apps on October 29 the same year. From there, it began climbing the charts. Reviews poured in; people began tweeting and sharing about it. The power of word of mouth – or in this case, power of tweets – greatly impacted its popularity. -Did you know Flappy Bird was originally named Flap Flap? -On eBay, a phone with the Flappy Bird app installed had been bidded for as much as $100,000, though the bid did not go through. ‘Argh! Almost got it!’ ‘Just one more try!’ Those remarks are often cried out by addicts to this game. But why is it just so sticky and addictive? According to Will Oremus, staff writer at Slate, the key lies in its simplicity. It is a game ‘easy to learn, hard to master’. Another factor is its immediacy – there’s no long boring monologue, the game itself is the only selling point. Also, it’s not a game that progresses from easy levels to gradually harder levels; every pipe is equally as hard and a challenge. This provides a sense of ‘adrenaline’ throughout game play. That ‘rush’ is probably what we’re addicted to. As most of us lead a fairly ‘unexciting’ life, we want something new to experience, to have a sense of ‘accomplishment’. Are you guilty of venting about your lack of success in the game at public platforms? If so, you probably have contributed to one of the factors that led to the game’s ultimate demise. Conspiracy theories, negative attention and fans’ complaints finally proved too much for Nguyen to handle. Tweeting, “And now I’m not sure it’s good or not”, we can see that the seeds of self-doubt towards his game had been planted in him. Nyuyen’s move to take the game down has been characterized as the ‘most genius tactic of marketing in the history of the app store’ by Paul Tassi, contributor at Forbes. He also expressed a sceptical viewpoint about the motives of the man behind the game. Wired described Nguyen’s success to be like a game of Flappy Bird, he would crash eventually. Forbes suggested that he also could be sued for infringement, despite his tweet that ‘the removal has nothing to do with legal issues’. Evidence points to him being guilty of performing ‘popularity stunts’ to increase users and awareness. The removal of his game has increased downloads, the income from ads is still ongoing, the attention on him has increased due to the stunt and his other games have not been taken down. So, has nothing changed? Yet, Nguyen has shown himself to be a man with simple needs. He wishes to ‘retain the indie spirit’ of producing games. He’s also genuinely distressed (resulting in his decision to remove the game) which is expressed through his tweets. I guess everyone’s entitled to their own opinion. Now that you know more about the man behind the game, what’s your opinion on this intriguing story? Quoting Christina Warren from Mashable, ‘It seems fitting that the app left the world with as much mystery as it entered’.